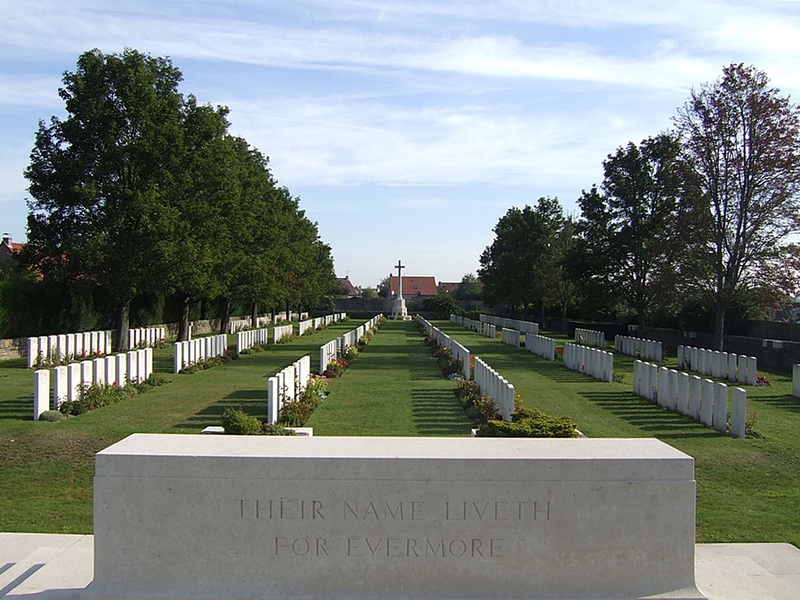 The village of Houplines is 2 kilometres east of the centre of Armentieres on the D945. The Communal Cemetery Extension is located on this road to the north-west side of the Communal Cemetery. 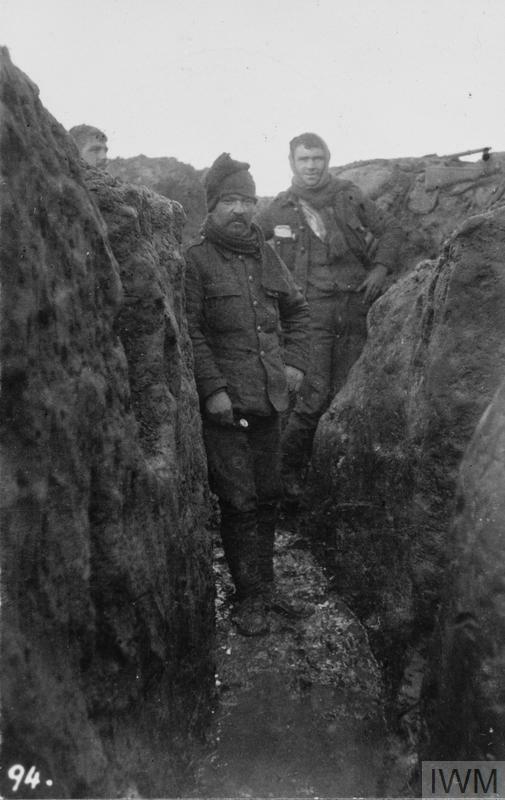 The village of Houplines was briefly occupied by the German forces as they advanced northward toward the channel ports in early October 1914. 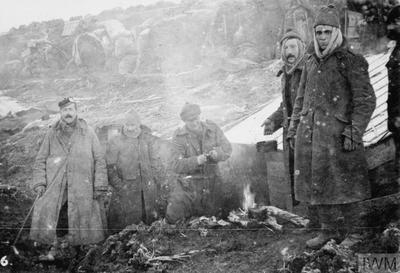 It was retaken by the British 4th Division later that month and remained in Allied hands until April 1918 when it was overrun by German units during the great spring offensive. It was finally recaptured by the Allied forces in September 1918. Houplines then contained four Commonwealth cemeteries in addition to plots in the communal cemetery. These sites were regrouped and concentrated after the war and today just two cemeteries remain. 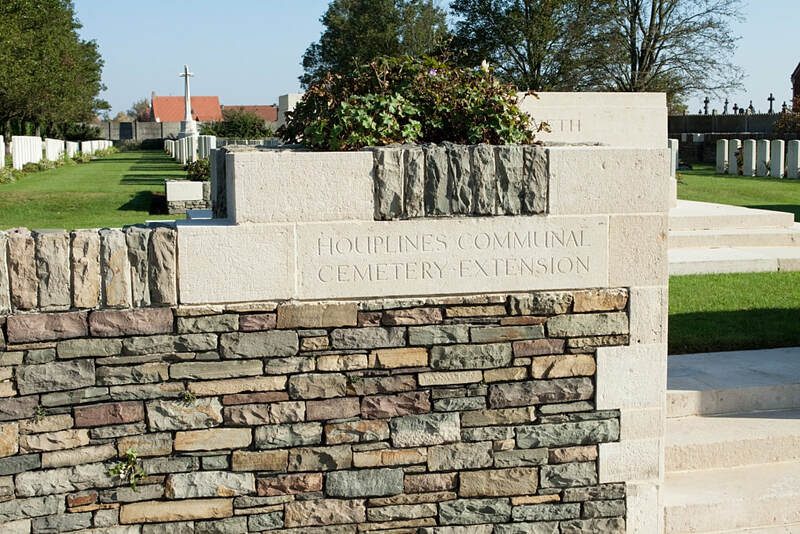 Houplines Communal Cemetery Extension was established, as ‘Houplines New Military Cemetery’, in October 1914 and used, mostly by the men of the 4th and 6th Divisions, until January 1916. In the years after the Armistice, the cemetery was enlarged when graves were concentrated here from the communal cemetery itself, other Commonwealth cemeteries in the village and the battlefields around Armentières. 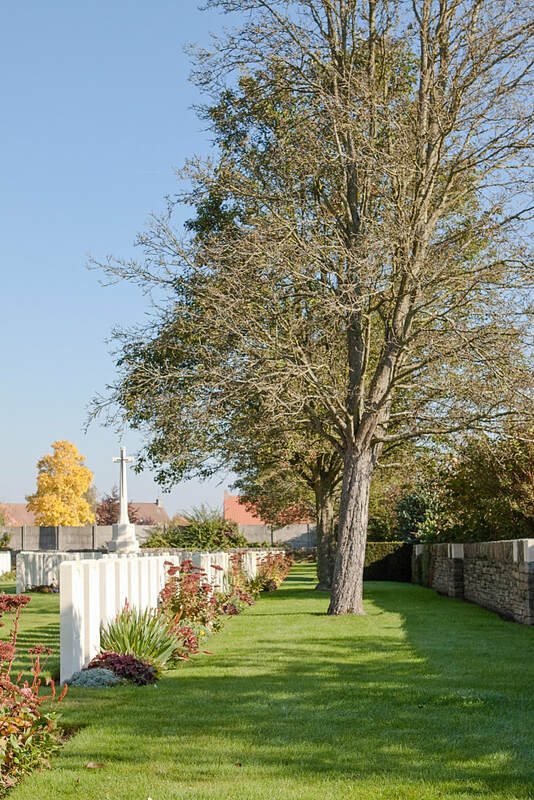 The extension now contains over 530 Commonwealth burials and commemorations of the First World War. 68 burials are unidentified but there are special memorials to four casualties known or believed to be buried among them. 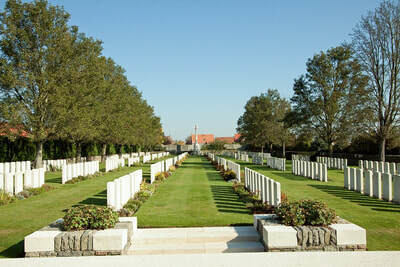 The cemetery also contains one Second World War burial. When Britain began mobilizing for war in August 1914, the 10th Infantry Brigade formed part of the 4th Division, one of six infantry divisions that made up the British Expeditionary Force (BEF). The Brigade was composed of four battalions of regular infantry drawn from England, Ireland and Scotland – the 2nd Seaforth Highlanders, the 1st Royal Irish Fusiliers, the 2nd Royal Dublin Fusiliers and the 1st Warwickshire Regiment. The officers and men of the Brigade mustered at Shorncliffe in Kent before crossing to France on 23 August, the same day that their comrades in the BEF clashed with the German forces at the Battle of Mons. They first saw action just three days later at the Battle of Le Cateau and went on to serve with distinction throughout the Allied retreat and at the battles of the Marne and Aisne in September. By the beginning of October the Brigade was stationed in trenches south of Soissons, but the BEF soon began moving north to Flanders where the German forces were trying to reach the channel ports that were still in Allied hands. From mid-October to mid-November 1914 what began as the ‘race to the sea’ descended into a desperate series of attacks and counter-attacks which would become known as the First Battle of Ypres. 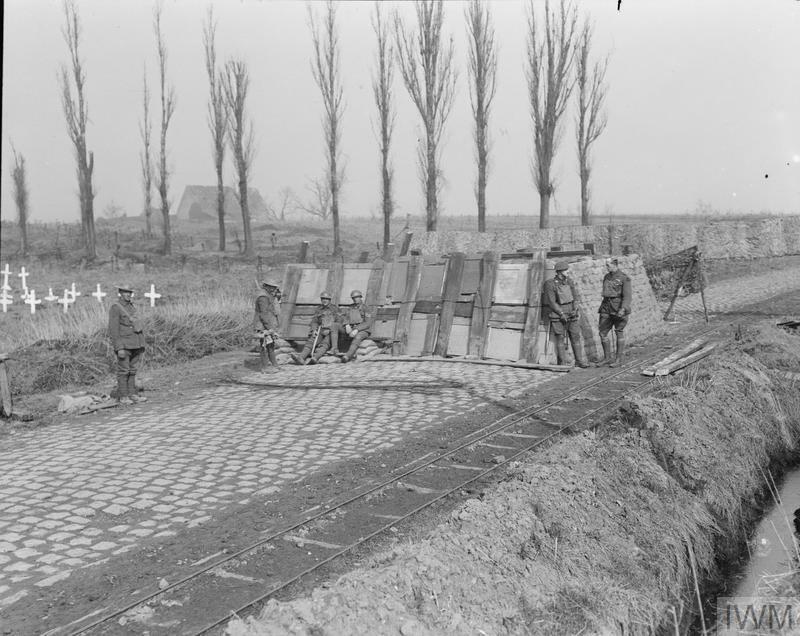 In the last two weeks of October, units of the 10th Brigade took part in several actions against the German forces on the southern sector of the British front in the vicinity of Armentieres and Houplines. 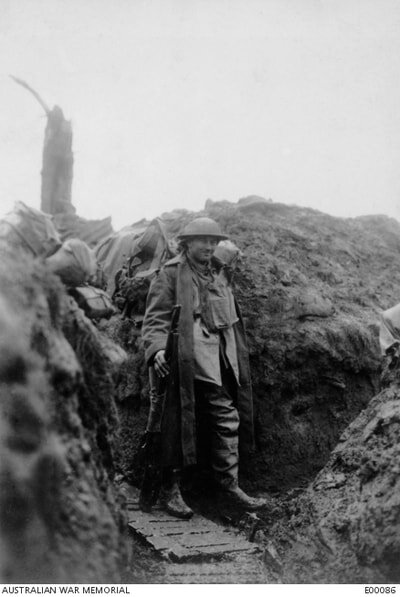 On the morning of 17 October, the 1st Royal Irish Fusiliers formed the advance guard of the Brigade as it crossed the river Lys at Erquinghem and advanced towards Armentières, which was then occupied by a small number of German units. 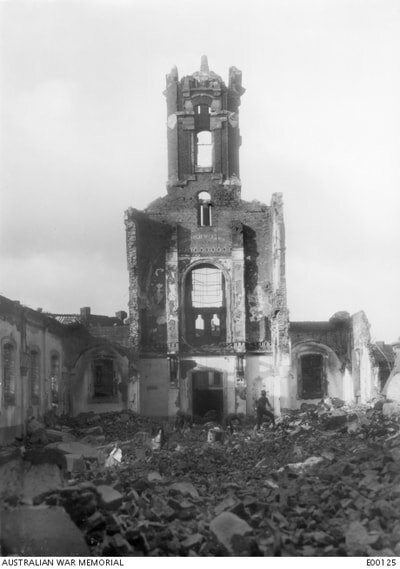 Street fighting began soon after the Brigade entered the town and made progress slow, but by noon most of the streets had been cleared of German troops and civilians were beginning to emerge from the houses. 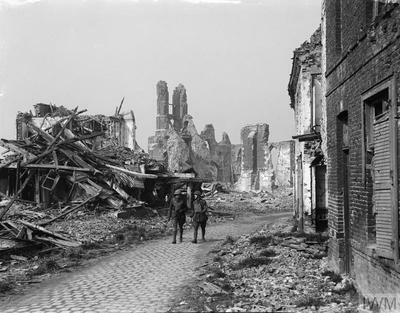 Armentières was now in British hands, but heavy fighting continued northeast of the town where C Company of the Royal Irish launched an attack on the Farm Phillipeaux at Le Ruage. The farmhouse was held by a well-armed detachment of Saxon troops who refused to surrender and the Brigade suffered numerous casualties as it tried to dislodge the occupants. By nightfall the farmhouse had been set on fire, one of its walls had been blown in by British sappers, and most of the defenders were either dead or mortally wounded. The ruined farmhouse became known as ‘Sydney Street’ after the so-called Sydney Street Siege, which took place in East London in 1911 when a group of Latvian criminals was besieged by a detachment of Scots Guards directed by Winston Churchill. Like the Saxon soldiers, several of the Latvians were killed after the building they were hiding in was set on fire. By successfully holding the Allied line in this area, the Brigade allowed more troops to be deployed further north around Ypres where the German forces concentrated most of their attacks until well into November. 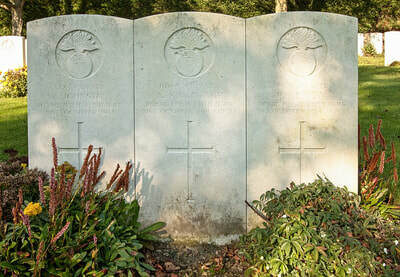 The 1st Battalion Royal Irish Fusiliers and the 2nd Seaforth Highlanders suffered the highest number of casualties, with over 70 men killed at Le Rouage on 17 October and Frelinghien on 19 and 20 October. 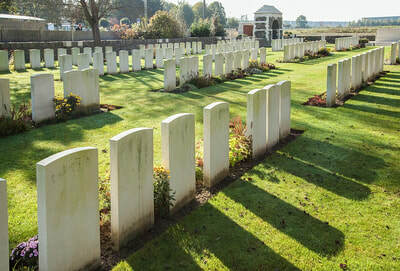 The dead were initially buried at Ferme Phillipeaux before being re-interred at Houplines Cemetery Extension after the war. 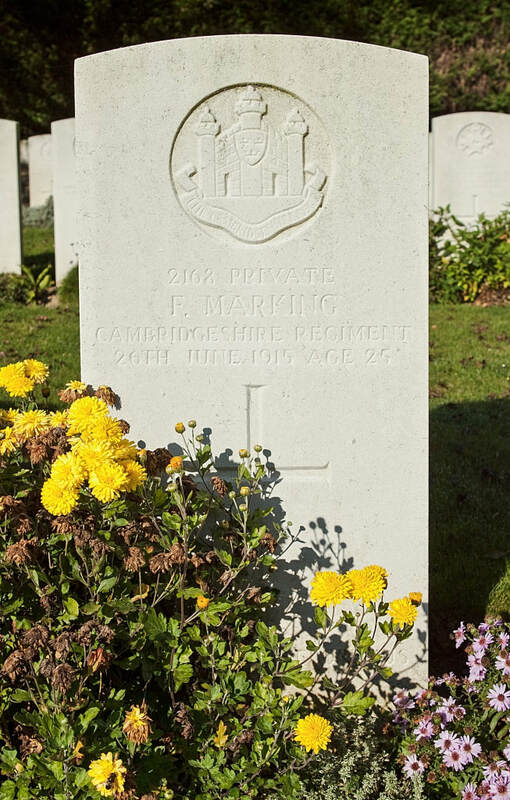 27th May 1915, aged 26. Son of Ernest and Emma Beatrice Amsden (nee Baily), of Norwood, London. 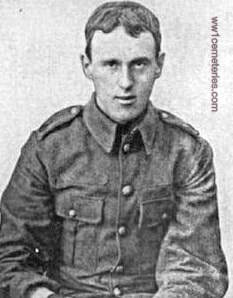 30th December 1915, aged 23. Son of Benjamin and Daisy Arkless, of Newcastle-on-Tyne. 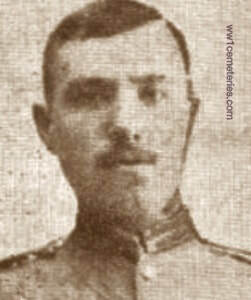 24th November 1915, aged 28. 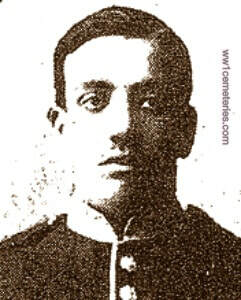 Son of Alfred Holmes Bali and Emma Ball, of "Sunnyside," Daybrook, Nottingham. ​His headstone bears the inscription; "Peace Perfect Peace." 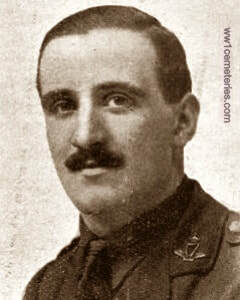 9th November 1915, aged 24. Husband of Mrs. W. M. G. Cust, of 2, Devonshire Place, London. His headstone bears the inscription; "Vixi Sed Magis Vivam." 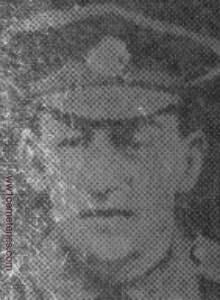 4th October 1915, aged 32. 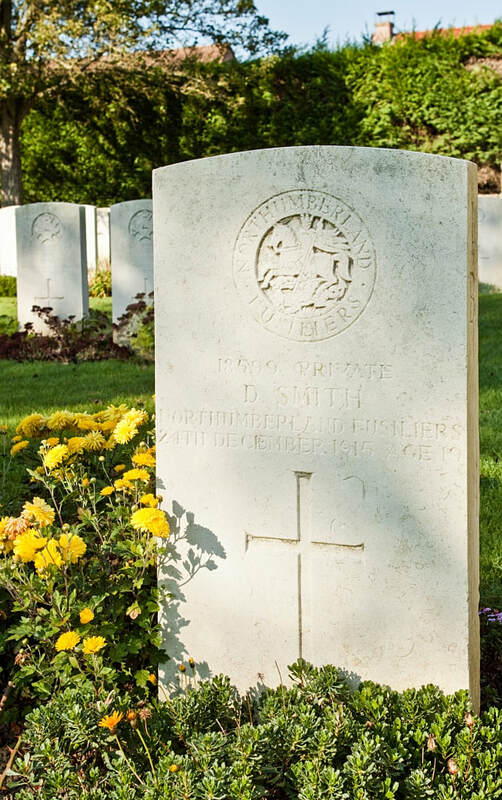 Son of Thomas and Jean Dixon, of Workington, Cumberland; husband of Rose Dixon, of 13, Shirley Terrace, Evenwood, Co. Durham. His headstone bears the inscription; "To Memory Ever Dear." 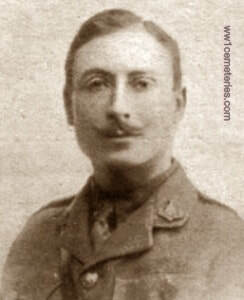 30th December 1915, aged 32. Son of the Hon. J. D. Fitzgerald, K.C., and the Hon. Mrs. J. D. Fitzgerald, of 33, Harrington Gardens, South Kensington, London. Educated at Harrow, and King's College, Cambridge, Barrister-at-Law, Member of the Inner Temple and Lincoln's Inn. His headstone bears the inscription; "Tranquil You Lie Your Knightly Virtue Proved." (From the poem 'O Valiant Hearts' by Sir John Stanhope Arkwright. 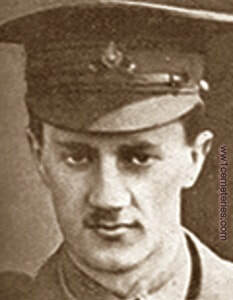 13th February 1915, aged 22. 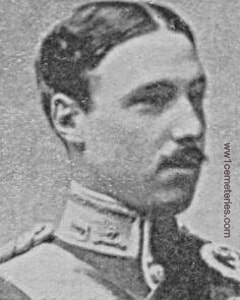 Son of Charles Hooper Hayden and Emma Elizabeth Birmingham Hayden, of 56, Endlesham Rd., Balham, London. His headstone bears the inscription; "He Died To Uphold A Treaty." 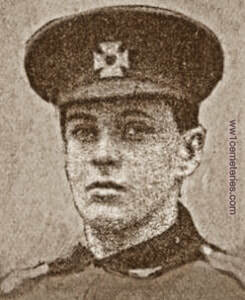 4th August 1915, aged 18. 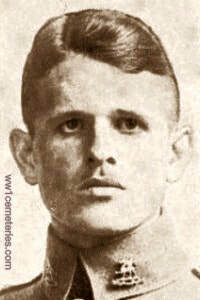 Son of Charlotte M.N. Lester, of 27, Leamington Terrace, Edinburgh, Scotland, and the late Charles Lester. ​His headstone bears the inscription; "God Is Love." 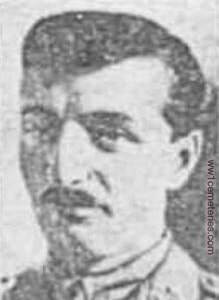 22nd October 1914, aged 38. 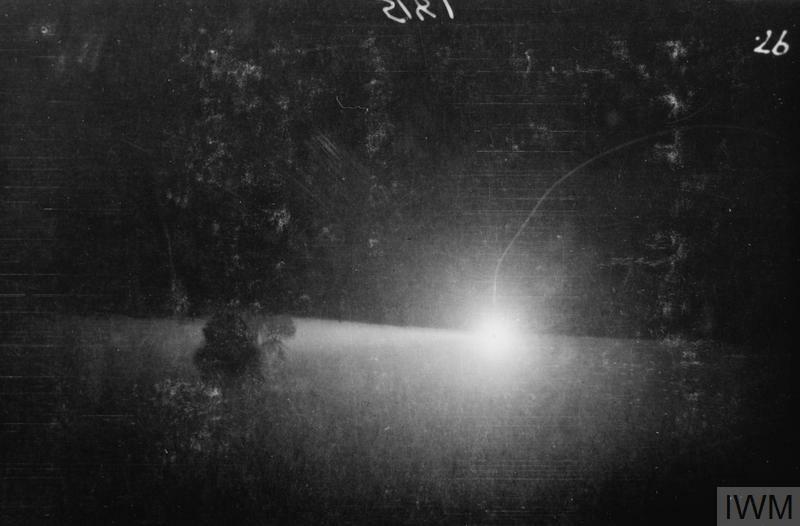 1st Bn. 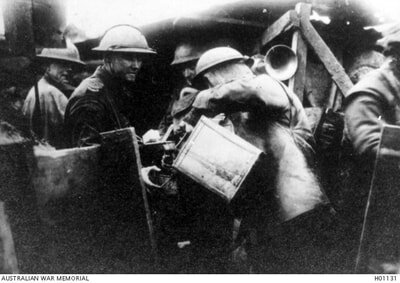 Auckland Regiment, N.Z.E.F. 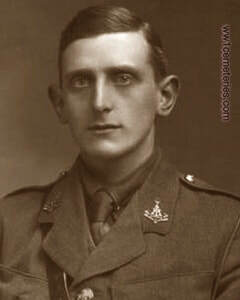 3rd July 1916, aged 22. Son of George and Elizabeth McNeil, of Auckland. 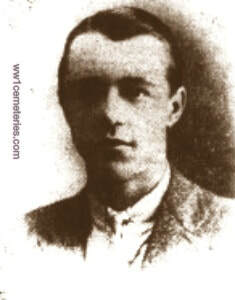 Only son of Mary T. Methven, of Wemyss Park, Kirkcaldy, and the late James Methven. 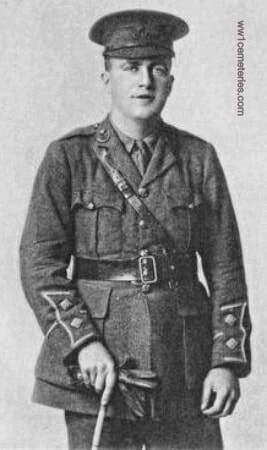 20th October 1914, aged 22. 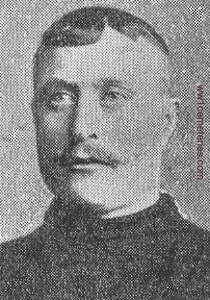 Son of Colonel H. R. and Mrs. Violet H. Pease, of The Lodge, Muston, Filey, Yorks. His headstone bears the inscription "I Thank My God Upon Every Remembrance Of You" Philippians 1.3." 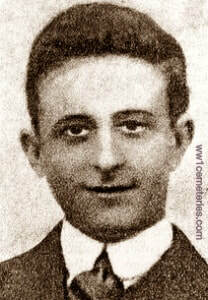 16th March 1918, aged 24. Son of the Rev. Richard Curtis Folliott Scott and Edith Marion Scott, of Hulcote Rectory, Bletchley, Beds. 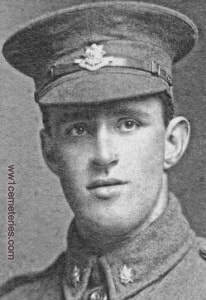 17th June 1915, aged 23. 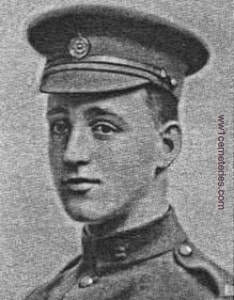 Son of John and Jennie Stewart, of Harrowsmith, Ontario. ​His headstone bears the inscription; "He Lived Cleanly And Has Died Nobly Even As He Would Have Wished Strong To The End." 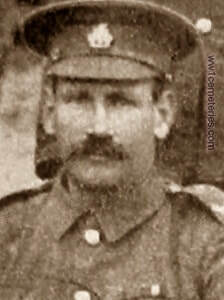 18th March 1915, aged 21. Son of Dr. George Willis and Mrs. Florence Willis, of 35 Cobham Rd., Westcliff-on-Sea.